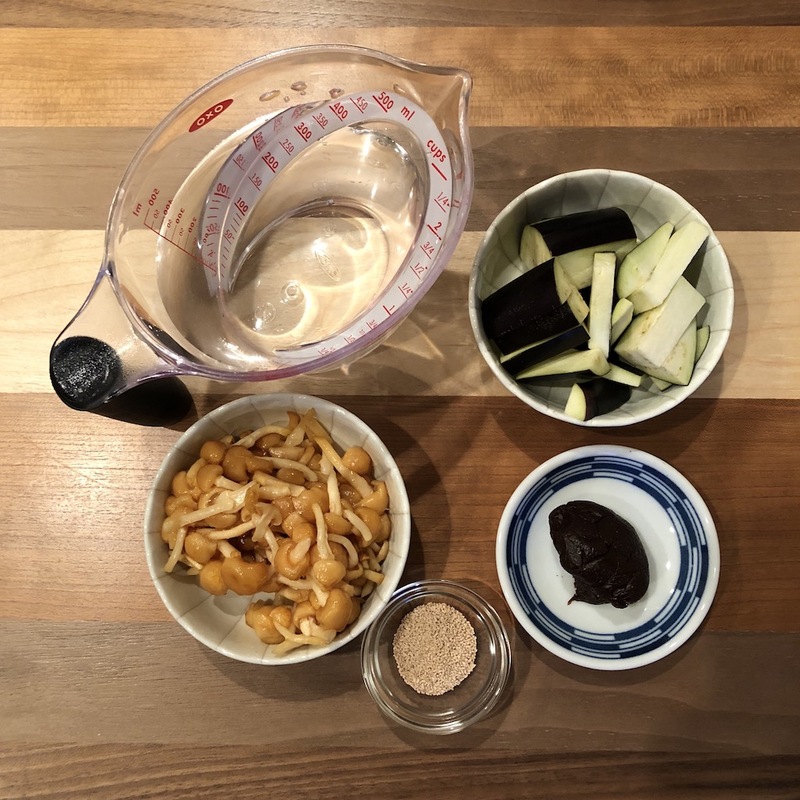 Did you enjoy my tasting project for five different kinds of miso paste…? For me, to be honest it was a great opportunity (first time) to compare several types of miso. 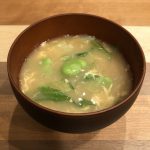 Since I got unique miso paste for this project, might as well utilize those miso for daily miso soup recipe. 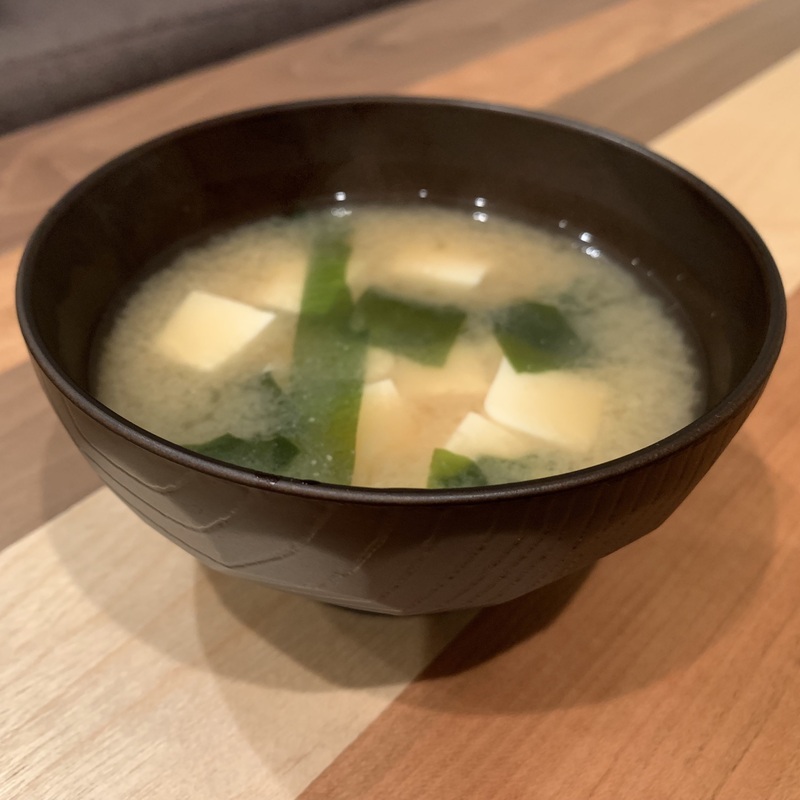 Past few days, ingredients in miso soup were very simple: tofu and wakame seaweed. Let’s change it to vegetable and mushrooms for today! 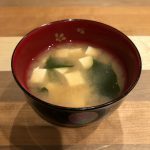 (Today’s miso soup is still “traditional” category though). 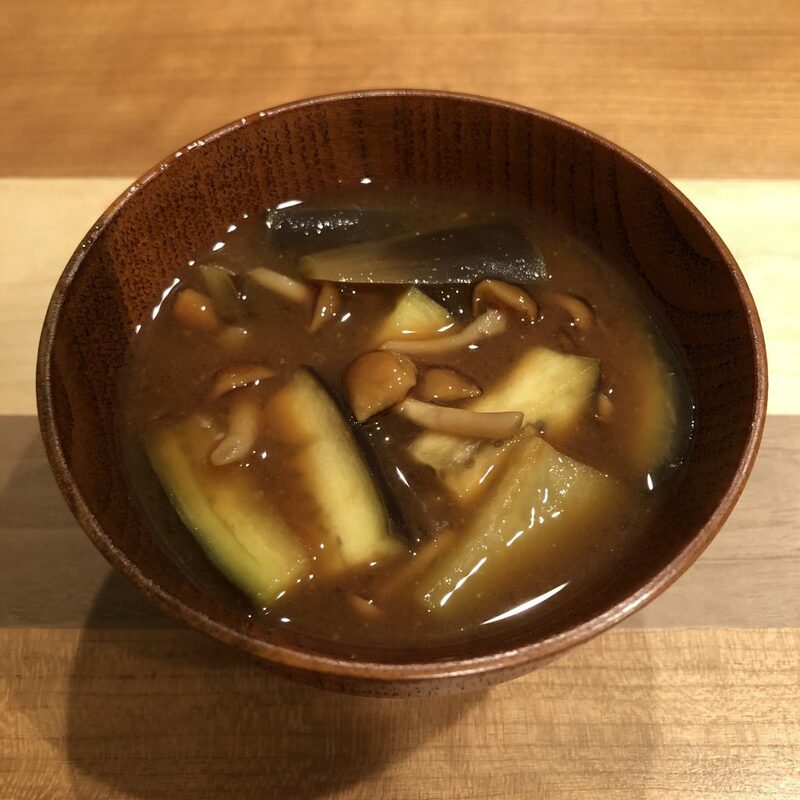 What vegetables or mushrooms sounds good with Hatcho miso? 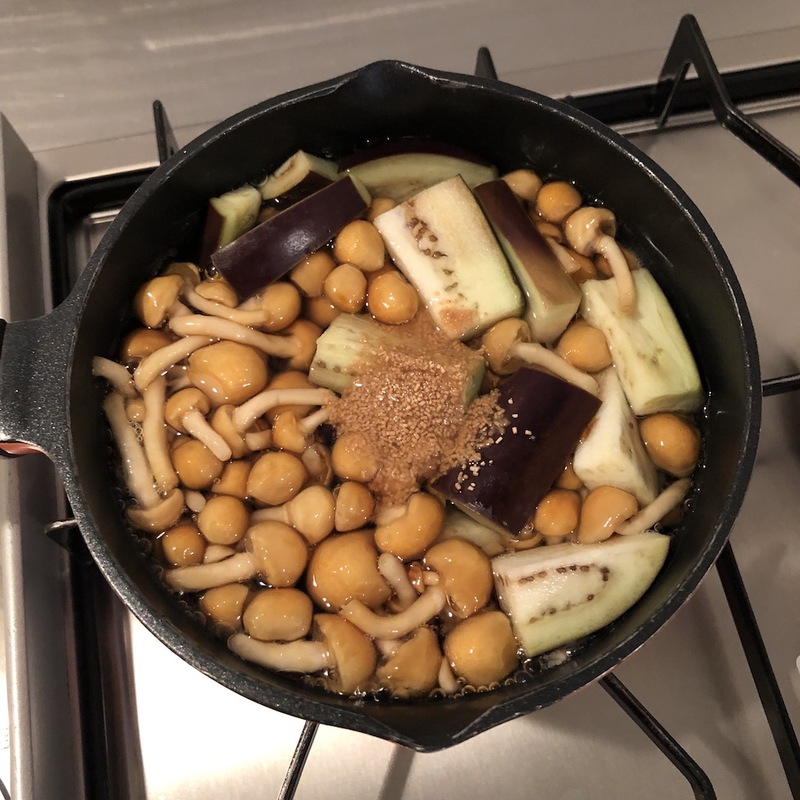 A good idea leaped into my mind… That’s nameko mushrooms! I’ve already introduced this mushrooms but I anticipate Hatcho miso will bring me totally different impression with nameko mushrooms. Also I pick eggplant to match with Hatcho miso and nameko. Please look forward to see new type of nameko miso soup! 1. 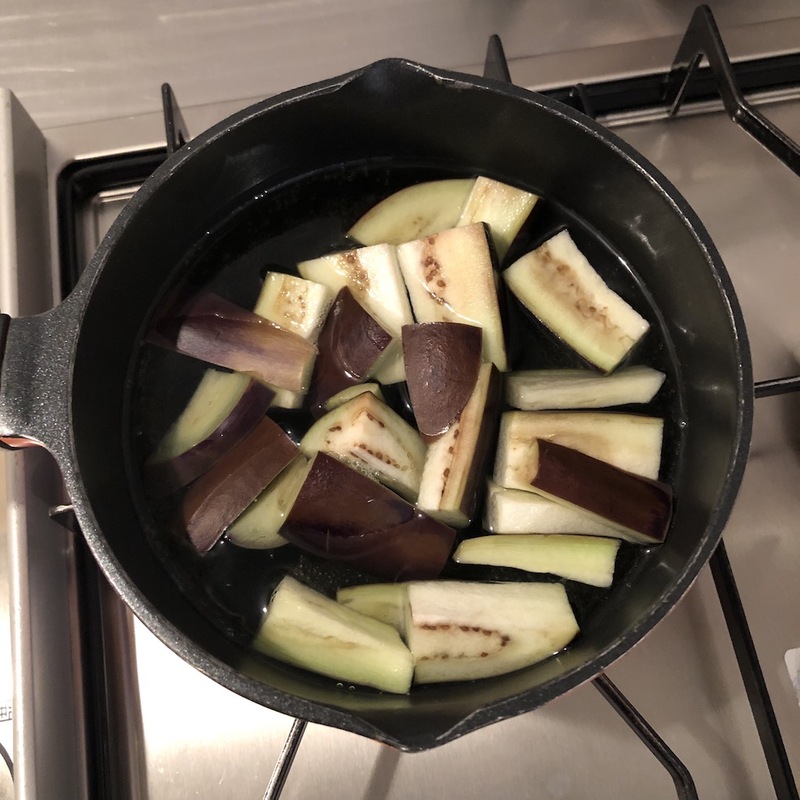 Heat water and eggplant in a saucepan for 3 min. 2. 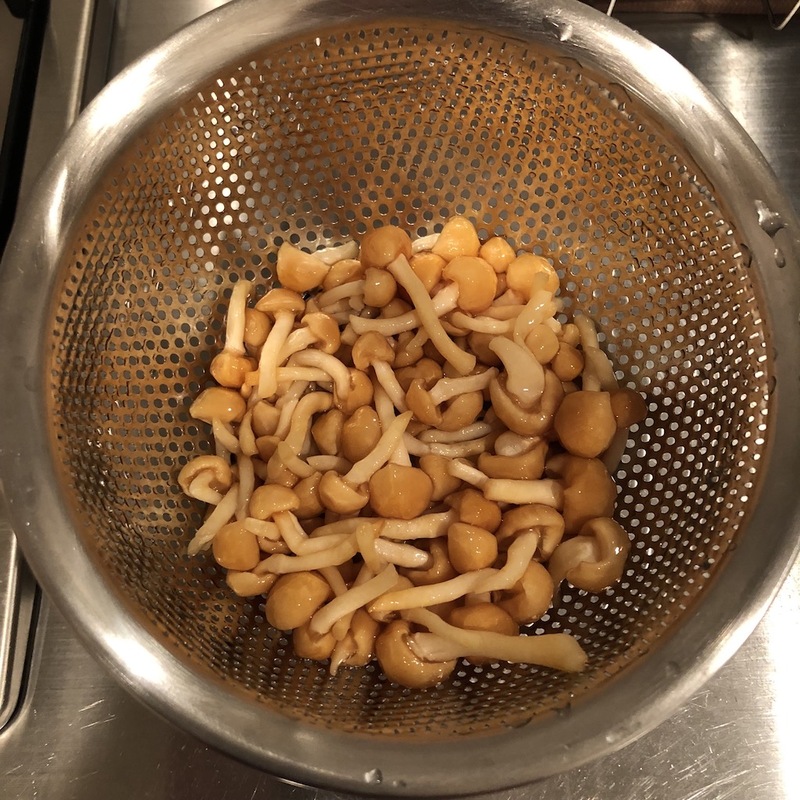 Prepare nameko mushrooms by washing well. 3. Add nameko mushrooms and dashi granules, and simmer for another 3 min. Then remove from heat. Hatcho miso is made with soybean koji, so it has great, deep flavor of soybean. 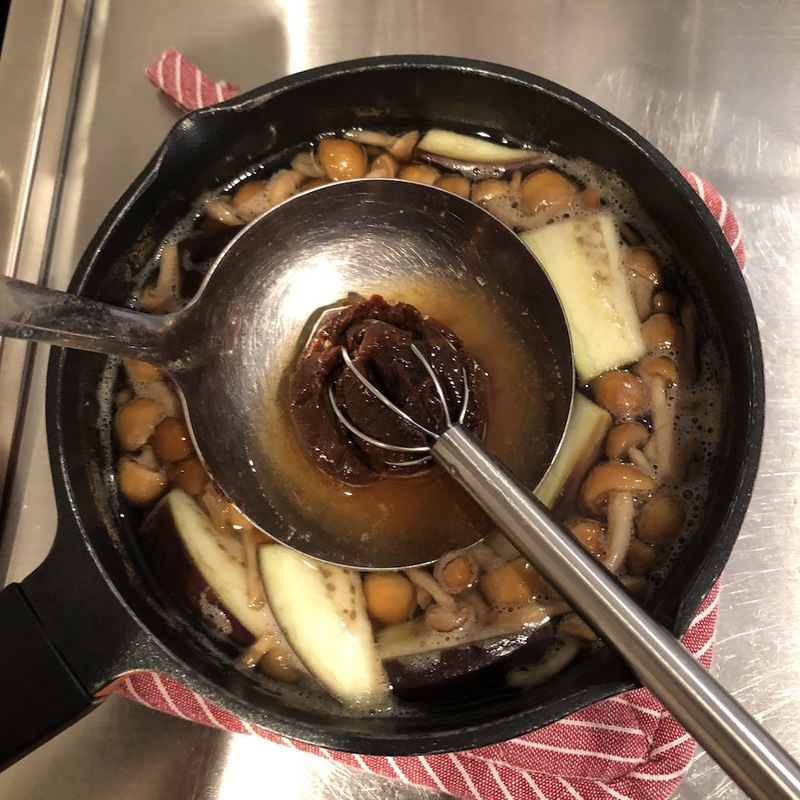 Since nameko mushrooms are sticky and has kind of strong smell, they matches so well with Hatcho miso. Soft and juicy eggplant is also creates fantastic combination with it!